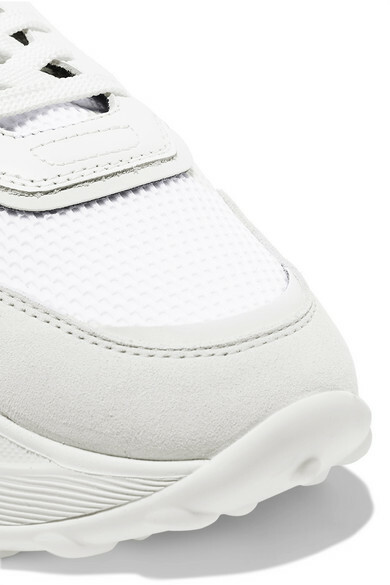 Tod's sneakers have high-tech mesh inserts that make them feel lightweight and comfortable. This pair has been made in Italy from a combination of smooth leather and nubuck with scuba-effect fabric details. 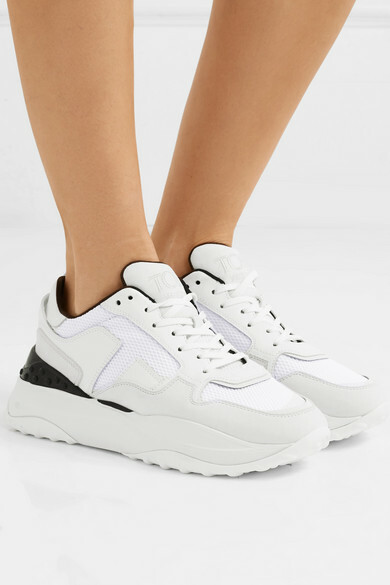 They're set on chunky rubber soles that are embossed with the label's signature pebbles for grip. Wear yours with cropped denim or midi dresses. 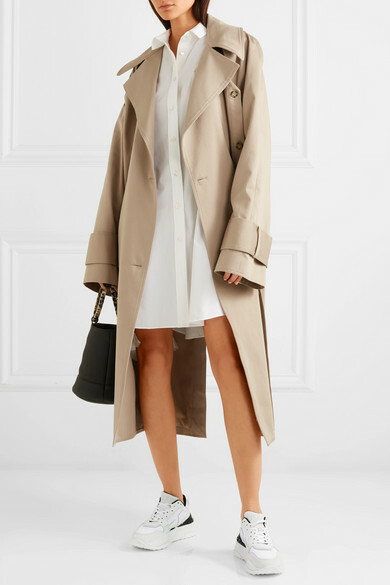 Shown here with: Sacai Dress, Rokh Trench coat, SIMON MILLER Bucket bag, Sophie Buhai Rings.